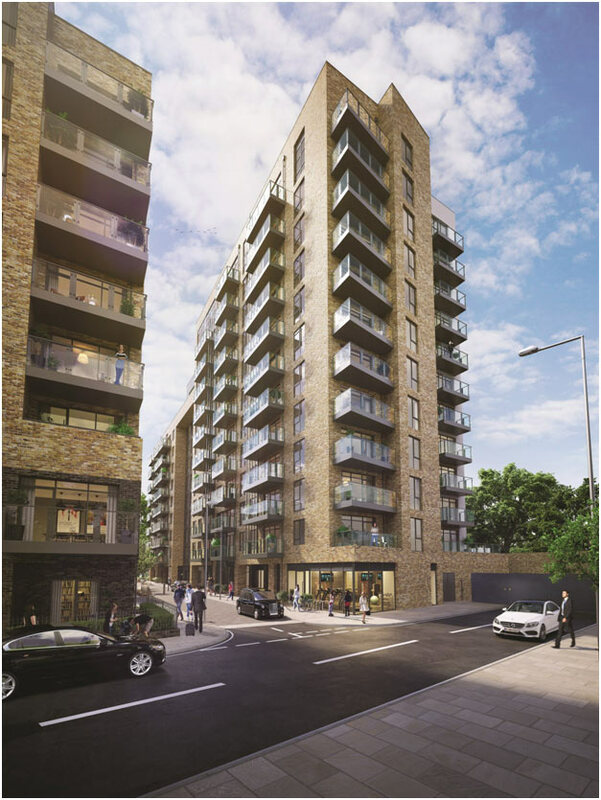 For ‘The Big January Sale’, Bellway has knocked up to £20,000 off some of their homes in the hugely popular development of Lansbury Square in Poplar. Home buyers securing a home this January will also be given a £1,000 TUI voucher to enjoy a first-class holiday to a destination of their choice. Poplar has already been tipped this year to be a 2019 hot spot. Situated in Zone 2, the up and coming destination has excellent transport links to get commuters quickly into central London and beyond with bustling Canary Wharf just a nine-minute tube ride away. This newly regenerated area has been the subject of much discourse as a highly promising location with investment being poured into new buildings, revived landmarks, new shops, offices and parks. Help to Buy is also available on many of the apartments in Lansbury Square and with the additional discount from Bellway this January, buying a home will be more attainable for house buyers. These contemporary new homes offer sophisticated professionals a London lifestyle, for a more affordable price. The apartments are built to a high specification and quality, and feature open-plan living areas, blending in with the kitchen and dining areas; each home has excellent views across the capital with a private balcony. A typical one-bedroom apartment features a sleek and modern interior, with an open-plan kitchen, dining and living space, a contemporary bathroom and balcony with exquisite views across London. Each apartment also has a fitted wardrobe in the bedroom, and modern integrated kitchen appliances. For everyday essentials, there is a supermarket just five-minutes’ walk from the development. The Chrisp Street Market is a fashionable destination in Poplar, open six-days a week, with over 80 individual stalls and an array of small shops and cosy cafes. The market occasionally hosts music festivals increasing its reputation even further and all just nine-minute walk away. Ideal for shopping, Canary Wharf takes nine minutes by train from Lansbury Square, offering a selection of designer and high-street brands within the shopping malls of Jubilee Place, Crossrail Place, Cabot Place and Canada Place. Westfield Stratford City is also ten-minutes away by car, offering over 350 stores, cafés, bars and restaurants, as well as a multi-screen cinema. For those pursuing a ‘new year-new me’ resolution, Poplar offers the perfect opportunity to get in shape. Poplar Baths Leisure Centre offers a fitness studio, swimming pool, sports hall and rooftop football pitch just half a mile from the development. Nearby, Mile End Park Stadium also includes facilities such as tennis courts, an athletics track and hockey, football and netball pitches approximately a mile away. While there is a selection of dining opportunities in Poplar, for the busy professional crowd, Canary Wharf offers a plethora of wine-bars and pubs to unwind in after work, while cafes and restaurants bustle throughout the day. For the latest live acts, the O2 Arena is only a ten-minute drive away, or for world-class drama, musicals, comedy and dance, the famous West End theatres are around 25 minutes away by car, or 40 minutes by DLR and London Underground. Poplar is rich with history, being home to the Museum of London Docklands which tells the story of the River Thames and the expansion of the Docklands, spanning back from 1600 to present day, offering a multitude of free exhibitions and galleries to enjoy. Perfect for the commuting lifestyle, Langdon Park DLR station is just a three-minute walk from Lansbury Square. The closest London Underground station is Bromley-By-Bow (District, and Hammersmith & City lines), and is only a 15-minute walk away. For travelling by car, major roads are easily accessible, with the A12, the East India Dock Road and the A11 all close by. Prices at Lansbury Square start from £386,995 for one-bedroom apartments, £505,995 for two-bedroom apartments and £594,995 for three-bedroom apartments. For further information please visit www.bellway.co.uk or call 0203 092 8982.